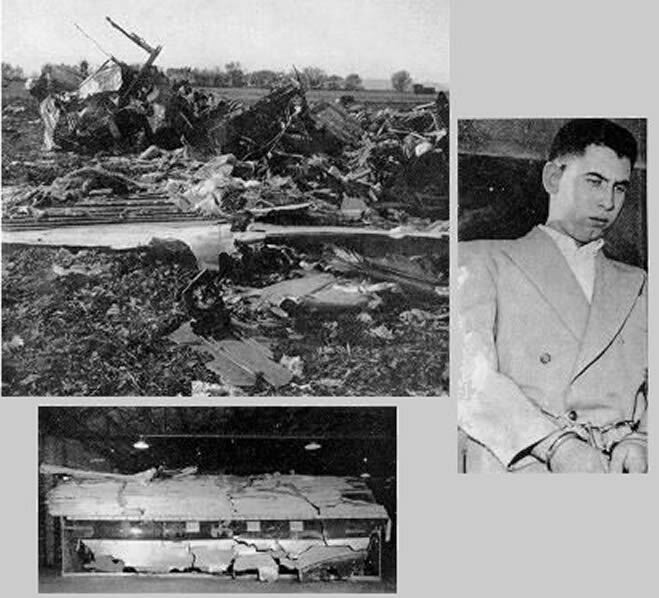 (Upper left) What's left of a United Air Lines DC-6B airliner after Jack Gilbert Graham (right) placed a bomb aboard in his mother's luggage in order to collect a $37,500 life insurance policy on her. All 44 people aboard were killed. He showed no remorse for the crime and was executed a year later.